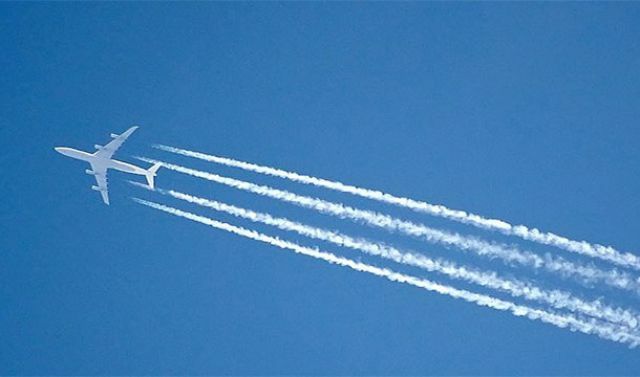 This classic conspiracy theory revolves around the idea that airplane contrails are polluting the atmosphere for undisclosed and sinister purposes. 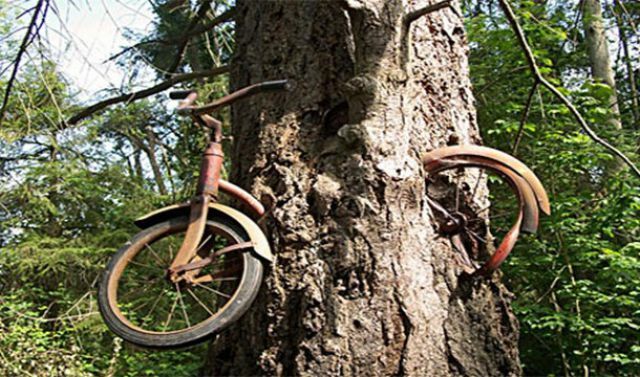 Supposedly left by a boy who went to war in 1914 and never returned, the tree grew around the bike. While it’s true that it was left by a boy, he didn’t go to war. Don Puz received the bike as a present after his family suffered a house fire and left it in a Washinton State forest for this tree to grow around it. 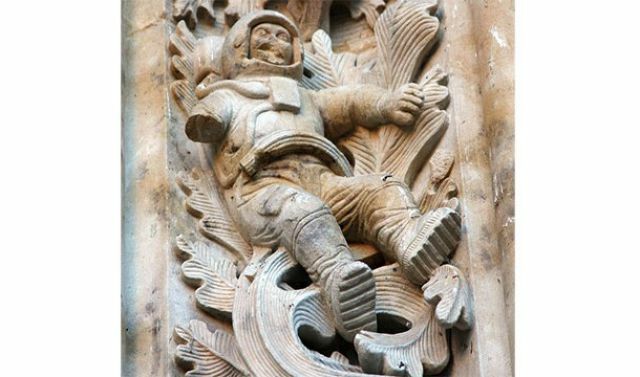 The New Cathedral in Salamanca does in fact have a space man carved into its exterior. This doesn’t mean aliens visited Earth though. It is the habit of masons like Jeronimo Garcia to “sign” their work with symbols of modernity. 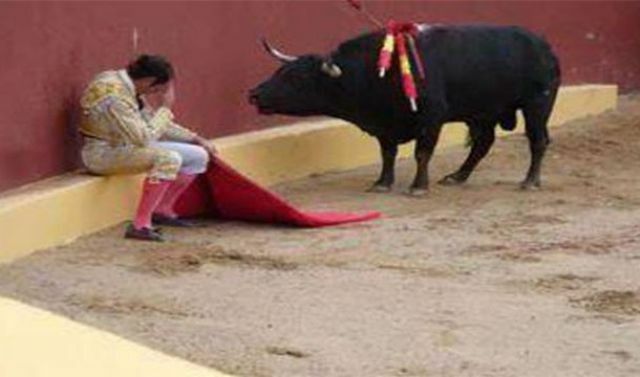 It is said that bullfighter Alvaro Munera had a sudden crisis of conscience in the middle of a bullfight. Although Alvaro did quit bullfighting eventually, this photo shows Javier Sanchez Vara showing he isn’t afraid of the bull. 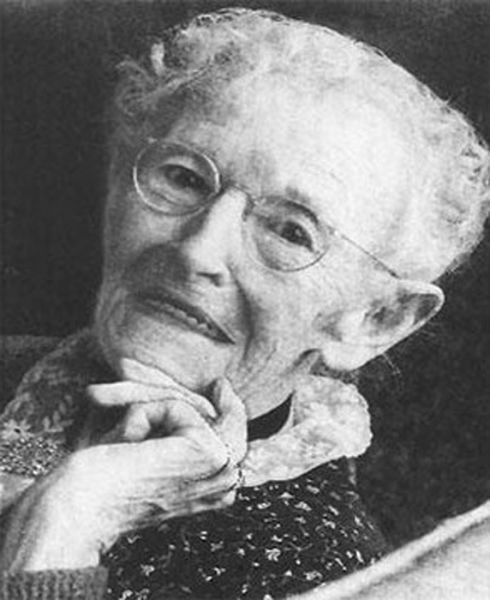 It has been circulated that Anna Mae Dickinson was touched personally by nearly every tragedy of the last 100 years from the Titanic to 9/11. Unfortunately, the newspaper alleged to have published the story (New York Intelligencer) doesn’t exist and neither does the woman. The picture is real though. It’s American folk artist Grandma Moses. 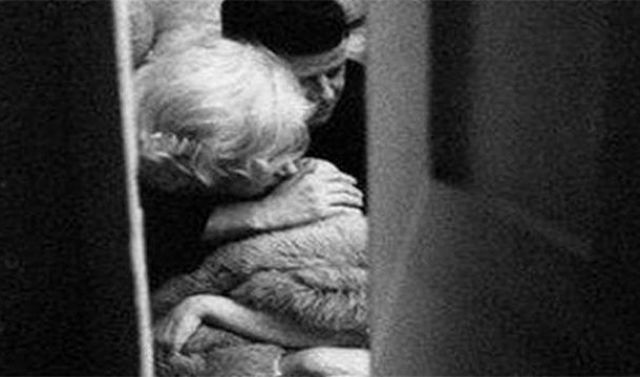 Claimed to be a photo showing their secret relationship, this is actually part of artist Alison Jackson’s profile. She is famous for staged photos of celebrities. Wrong, there are actually an estimated 107 billion people to have roamed the Earth. 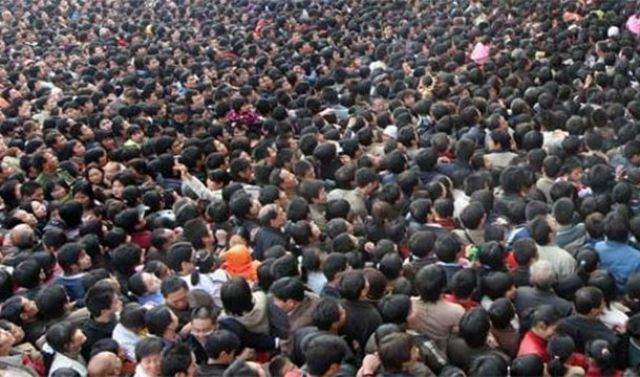 There are only 7 billion alive today. 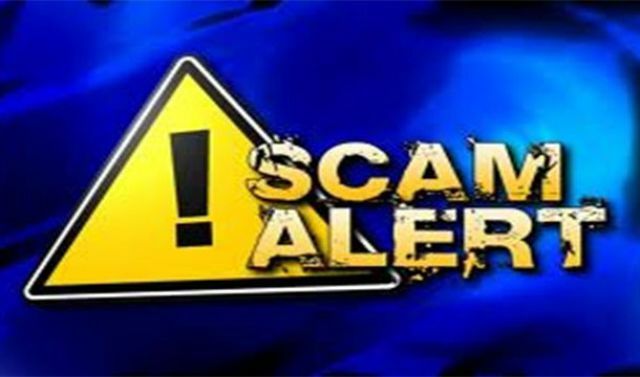 It may be obvious to most of you but some people still fall for those emails from people claiming to be Nigerian princes. Nigeria doesn’t have princes. It has presidents. You probably didn’t even know that people thought this. But they do. 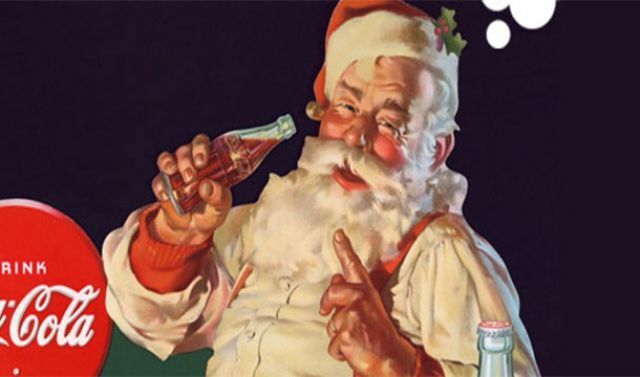 And Santa Claus/Father Christmas/Kris Kringle was around long before the first Coke advertisement in the 1930s. All veins go the heart. That’s kind of where veins go. 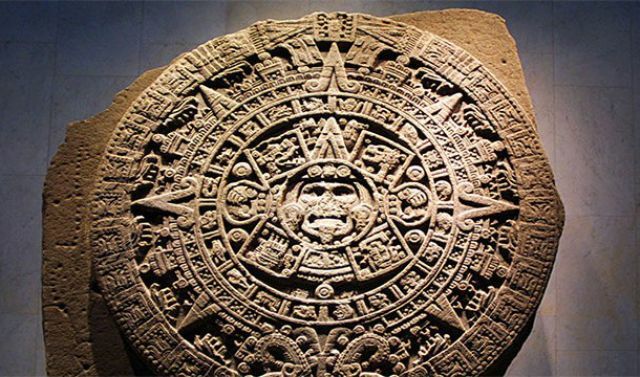 First of all, this is the Aztec calendar, not the Mayan calendar. And second of all, neither one predicted the end of the world. 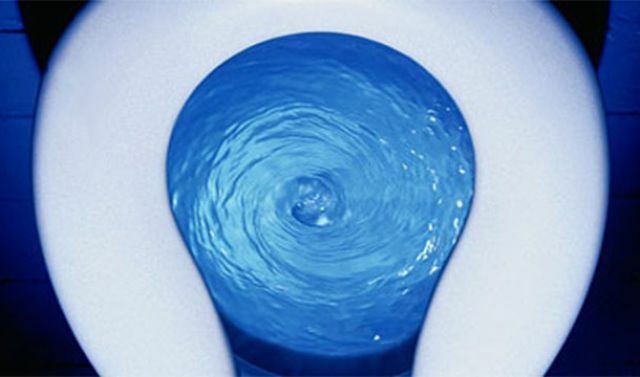 Although the Coriolis effect is real, it is much to weak to determine the direction your toilet water spins. This is 100% reliant on which direction it enters the bowl from. Not long ago a story hit the front page of reddit about a girl who thought her uncle was a serial killer. 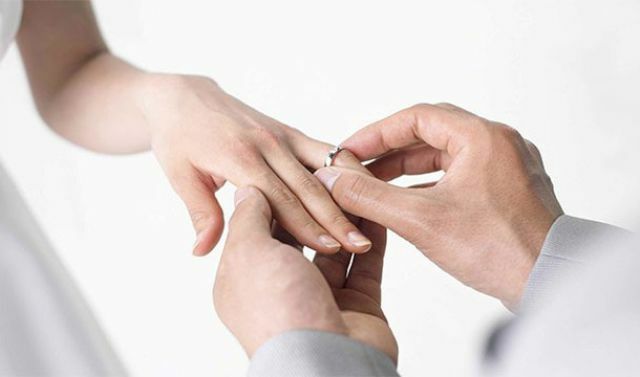 It was quickly debunked and proved to be a bunch of students from George Mason University doing it as part of a course. 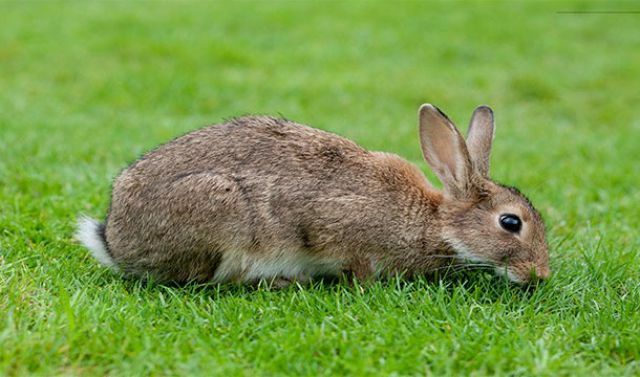 The pet rabbit of James and Brian, the creators of the website savetoby.com, they promised to kill and eat him if they didn’t get $50,000 in donations. Not surprisingly, it was soon revealed to be a hoax. 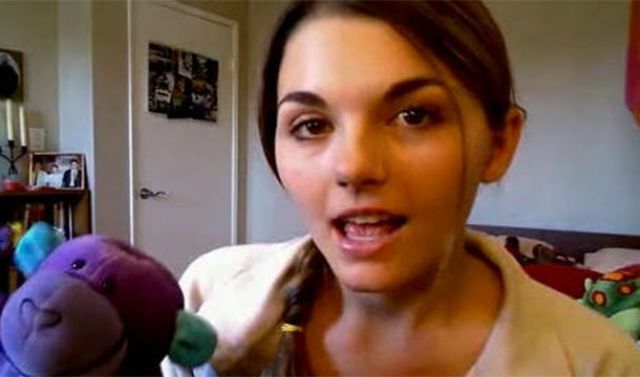 Appearing to be a video blog about a normal teenage girl’s everyday life, people started noticing when her parents disappeared and she was forced to take part in cult practices. 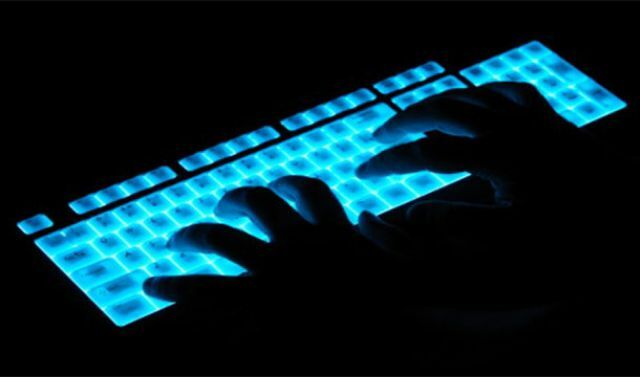 Undercover journalists eventually revealed that the blog was actually put on by Creative Arts Agency. 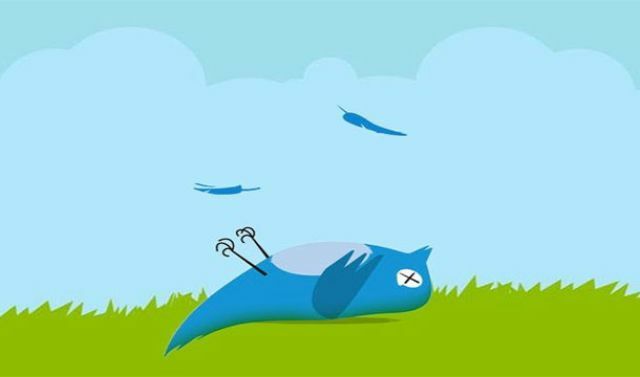 The number of times a celebrity has been prematurely declared dead on twitter or facebook is astonishing. What’s funnier though is that every single time the internet fall for it. Welcome to the world of photoshop. 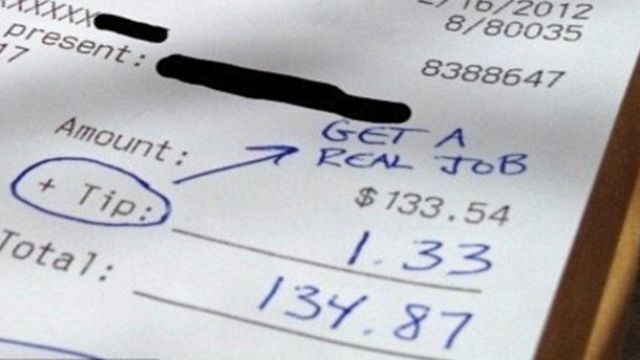 This tip was supposedly a statement made against the 99% but the restaurant known as True Food Kitchen produced the real receipt. It was for $33.54 and the person left a $7 tip. 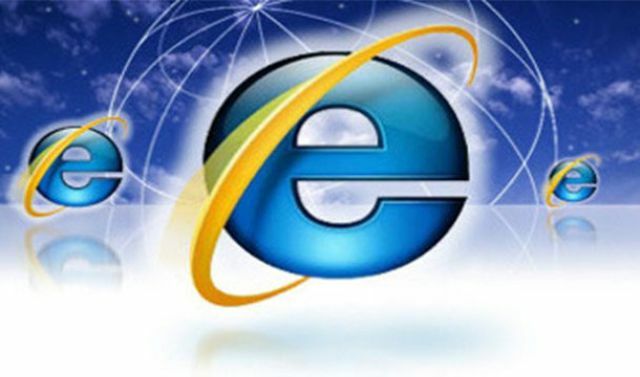 In 2011 CNN, BBC, and other prominent news sources reported that a survey of 100,000 internet users showed that Internet Explorer users had lower IQs. It was eventually proved, however, that the survey never happened and the firm that conducted the research was a sham. 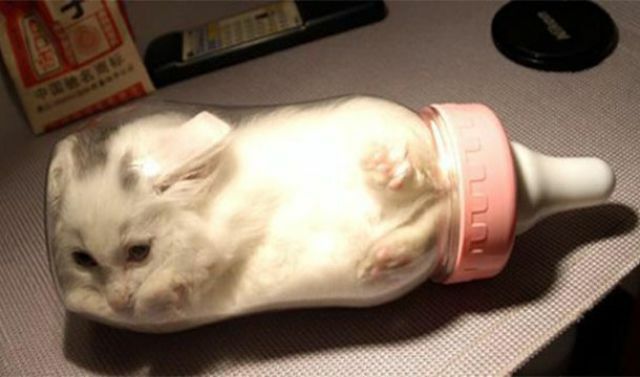 This 2000 hoax involved a website showing you how to grow your own kitten in a jar so that its bones would conform to the shape of the container. The spoof site was created by an MIT student and after some very audible public outcry it was take down. 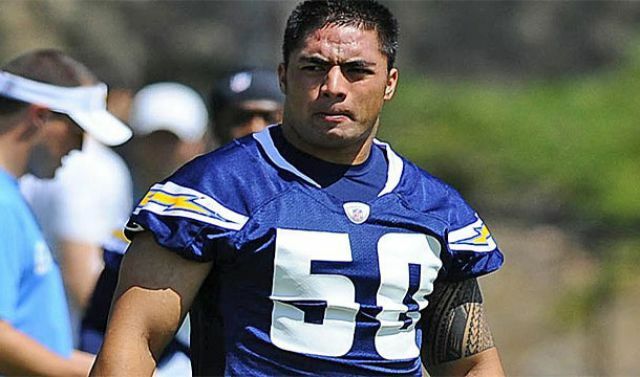 Not long ago NFL player Manti Te’o was celebrated for playing well in a football game after both is grandmother and girlfriend died. 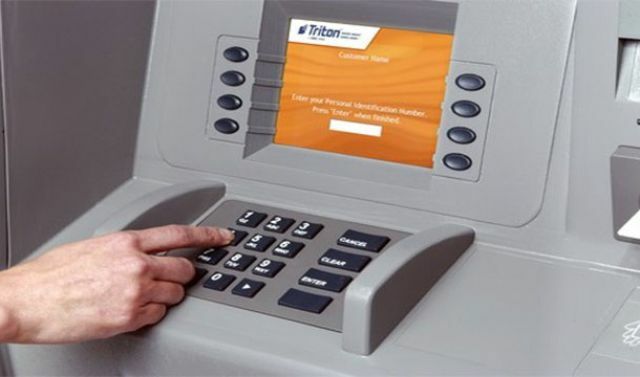 Apparently, however, Manti (as well as all of us) was fooled because his girlfriend was just a prank. 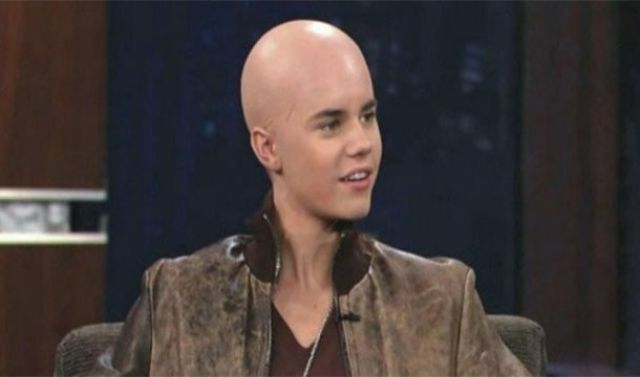 After a photoshopped image of Justin Bieber began making rounds on the internet a number of Bieber fans ended up shaving their heads and posting pictures online under the hashtag #baldforbieber. 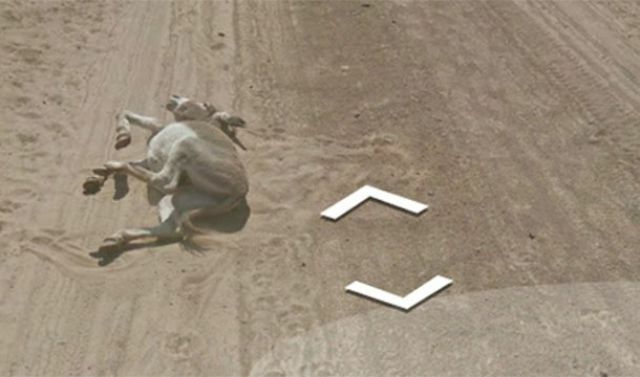 Some people accused Google of hit and run when they noticed this donkey lying in the road in some street view footage from Botswana. What they failed to realize is that in Botswana people drive on the left side of the road. The donkey got up and walked away. 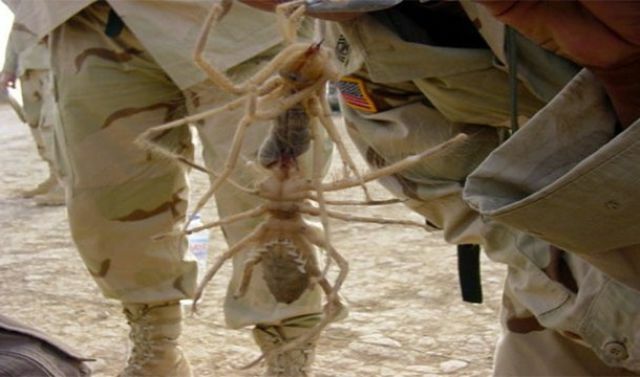 In 2004 an email circulated asking people to be sympathetic to American troops not just because they were away from families in a dangerous war zone but also because they had to deal with enormous hybrid spiders that could run 25 miles per hour and jump several feet in the air. Not surprisingly it was another internet lie.